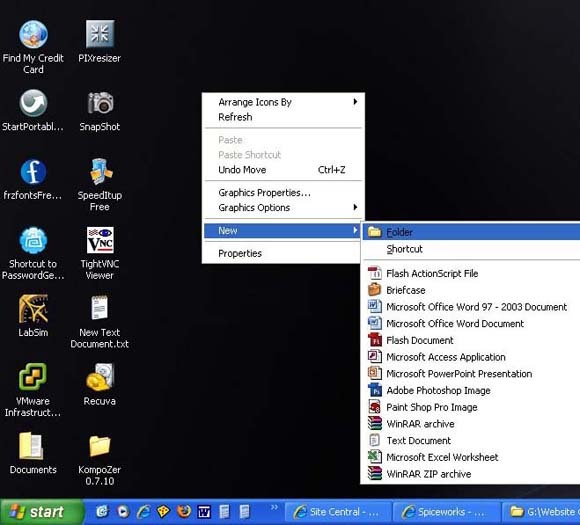 Right click on the mouse button in an open space of your computer desktop. Go to new and click on folder (see image Beblow). 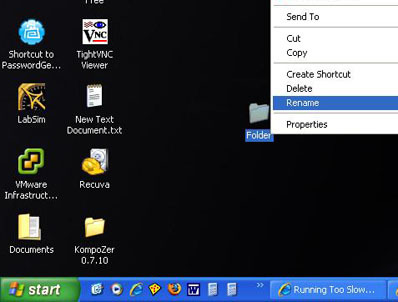 You can also do this in any open folder or subfolders just make sure is an open space so that you get the right sub menu when you right click on your mouse. At this point when you first create the folder, it will be called "New Folder" and it will also be highlighted which means you can change its name to something else. In this case i called it "Folder" (see animation below). 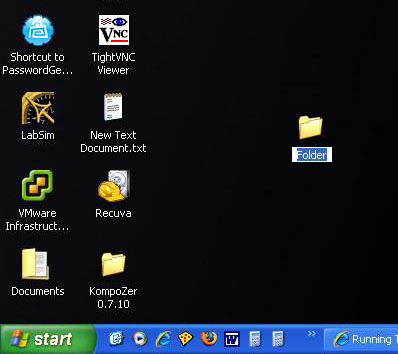 To rename the folder, right click on the folder you want renamed and click on rename. This will highlight the text and will allow you to type a new name. Type the new name and press enter (see below). 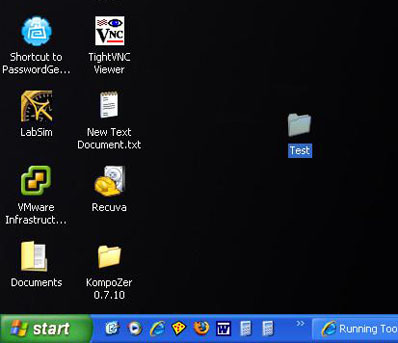 Right click folder and click on rename. Did you find this page useful? Leave your comments below.